To begin, a relatively simple but beguiling work for cello and orchestra by Alvin Lucier, composed in 2007. 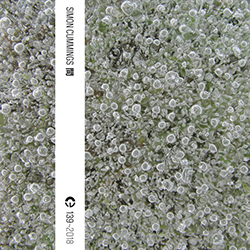 The title, Slices, is indicative of the relationship that the soloist has with the orchestra, which is presented here in oscillating modes of action. Initially, the orchestra forms a tight 53-note chromatic cluster (one pitch per instrument; the orchestra comprises 53 players); over this—barely audible at first—the cello picks out isolated pitches, moving in an expanding wedge formation. Gradually it becomes clear that the pitches played by the cello are being removed from the orchestral cluster, leaving erased pitch slices that over time become increasingly wide, until eventually nothing is left. Then the whole process is put into reverse, the cello again placing disjunct pitches that now magically hang in the air as members of the orchestra sustain them, slowly accumulating into another dense cluster; at its zenith, the process reverses once more, and the cello picks apart the cluster, reducing it to nothing. Lucier goes back and forth through this process several times in Slices, each time using a different sequence of pitches in the cello, and the effect is really quite fascinating, despite (or perhaps because of) its extreme simplicity. Lucier’s gift for making something magical out of, ostensibly, next-to-nothing is heard to wonderful effect. This performance of Slices was given at the 2013 Tectonics festival in Glasgow, by the BBC Scottish Symphony Orchestra conducted by Ilan Volkov. A lent contemporary concerto series? Excuse me whilst I copiously salivate over my keyboard, this fascinating piece really leaves everything on the table as to what future uploads can offer, very exciting stuff. I’m in total agreement with you there, Daniel. One of those now-very-rare “How can anyone not have thought to do this before? !” pieces. 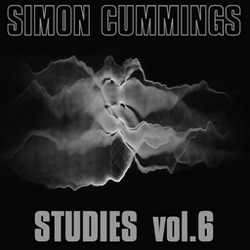 A great start to what, I’m sure, will be another great series – Simon, as ever, many thanks! 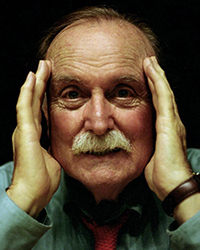 I can recall instances in the first section of Richard Barrett’s Vanity where the piano fires out pitch ‘bullets’ that are sustained by the orchestra (& it also features a vast orchestral cluster later), but Lucier’s is the only time I’ve ever encountered the idea as a methodical process. Seems such an obvious idea, doesn’t it?